Shows QSO and SWL in real time, taking data from many different sources (DX-Cluster, WSPR, Reverse Beacon). It also allows to send DX-Spots and more features. 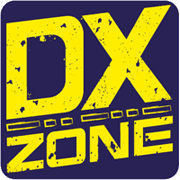 DX Cluster spots mapped in real time for all bands. EDI Visualizer updated - Create an on-line QSO Map of your contacts submitting a simple EDI contest log file. The EDI file must contain locators, the app will create a nice map based on google maps engine. Map will be saved online and the resulting url can be easily shared on social networks. phpQW Tool Log Analysis - Web based Amateur Radio Log Analyzer display qso map based on uploaded log, support ADIF Cabrillo REG1TEST-Edi and STF-Logfile format Publish statistics broken by QSO7h Squares, fields or DXCC. QSOMap.org updated - A web site offering a QRZ.com integrated mapping service. Allows creating a google map of your QSOs adding a list of QSOs manually or importing an ADIF log file. Registration and a QRZ.com account is required. Search only in "DX Map"